Can Drinking Alcohol Have an Effect On Varicose Veins? Home » Varicose Veins » Can Drinking Alcohol Have an Effect On Varicose Veins? Most of America falls into the category of social drinker if they drink at all. They have a glass or two of wine or beer when out with friends or attending a party. That likely doesn’t have too much of an effect on your veins. But what if it becomes more than occasional or you are a moderate to heavy drinker? While there are a wide array of causes for varicose veins including genetics and family history, diet, weight, activity level, and yes even alcohol consumption needs to be taken into consideration especially if you are starting to present with symptoms of vein disease. Varicose veins are a sign of a diseased circulatory system. When drinking, alcohol goes into the bloodstream. It gets pumped around throughout the body. When someone consumes alcohol, their heart rate increases as well as blood flow. This increased blood volume forces the possibly already damaged veins to work harder, especially those in the leg that already have gravity to contend with. Alcohol intake has a direct effect on the liver which is in place to filter the blood as it is circulated. 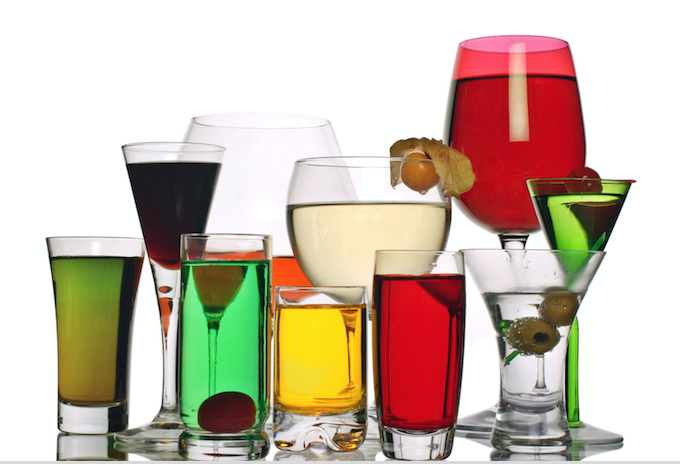 Alcohol is able to attack a vein health from multiple directions. If the liver is weakened and unable to properly filter the blood of waste and toxins, it becomes thicker and more viscous, making it even harder for those already weakened leg veins to function properly. To conclude and answer the question at hand, consuming alcohol does not necessarily cause varicose veins if no other risk factors are present. It can, however, cause the development of varicose veins and venous insufficiency much more likely in those already predisposed or already experiencing issues. Dr. Zuzga of West Florida Vein Center is not going to tell you that you should never drink alcohol if you never want to have varicose veins, but he may tell you that it would be wise to refrain from drinking alcoholic beverages if varicose veins are already present or if your gender, age, or family history makes you a likely candidate for future venous disease. If you are in the West Florida area and would like to consult with a Vein Specialist to see how we can help improve and maintain your health we would love to see you in our office. www.westfloridaveincenter.com (727) 712-3233.